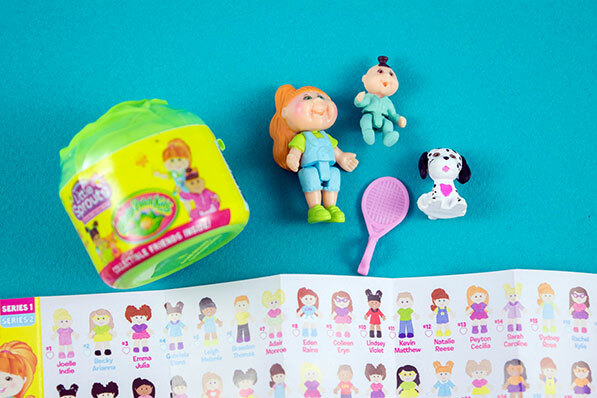 5 Reasons You'll Love Cabbage Patch Kids Little Sprouts | YAYOMG! Note: We received this product for free from Wicked Cool Toys in exchange for a fair and honest review. We were under no obligation to write a positive review. Cabbage Patch Kids are back in a big way! Actually, they’re back in a super small way, but our level of excitement is BIG. Cabbage Patch Kids Little Sprouts are collectible figures inspired by the iconic CPK dolls that are perfect for kids who love the surprise of blind bags and the thrill of finishing off a collection. Ready to adopt these sweet Sprouts into your family? Here are all the reasons we think you’ll love them! 1. There are over 120 CPK Little Sprouts to collect across two series. The adorable figures include kids, babies, and pets and a variety of diverse skin tones, hair colors, and fur colors. 2. The Little Sprouts may be born in the cabbage patch, but their world is big and ever growing. You can take your new collectible friends out into your world or try one of the playsets to truly interact with theirs. 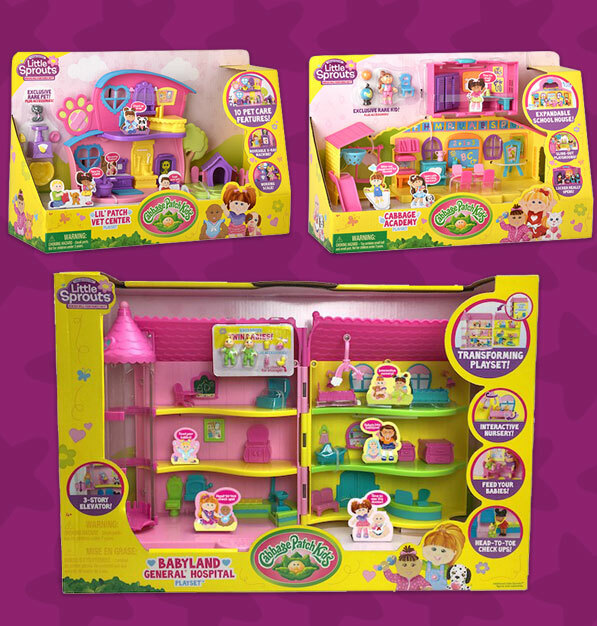 There are three playsets available, the Lil’ Patch Vet Center, Cabbage Academy, and Babyland General Hospital that each come with a special figure exclusive to that set. 3. There are lots of ways to build out your collection. Cabbage Patch Kids Little Sprouts come in surprise packs that look like cute little cabbages as well as 4-packs and 8-packs. The cabbages come with either one kid figure OR a baby and a pet. 4-packs feature three figures and a hidden accessory and 8-packs feature four figures, three accessories, and a hidden pet. 4. The hunt is filled with surprises! There are lots of Rare and Ultra Rare figures to discover, including figures that sparkle and special pet types. While you’ll typically find kitties and puppies, the rare and ultra rare pet types include bunnies, bears, squirrels, and owls. Too cute! We were lucky enough to find the rare Brittany Margaret, complete with sparkly skirt! 5. They’re fun to bring along anywhere you go. 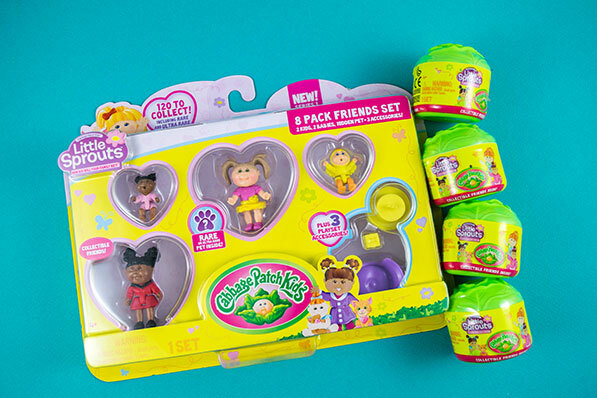 Unlike the big Cabbage Patch Kids dolls, CPK Little Sprouts are perfect for stashing in your backpack and taking with you on the go for trading events, sleepovers, or a trip to the park. The fun never has to end! 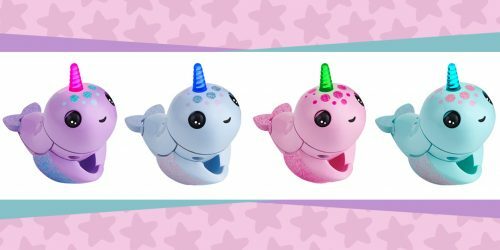 CPK Little Sprouts are now available at Toys R Us, Target, Amazon, and other toy retailers. Looking for even more collectible fun? We think you’ll love Egg Babies!